I often say that opera is not my thing, but I've only attended one opera in my life before last night (La Boheme of course, because of its connection to my favorite musical RENT), so that's not a very informed opinion. 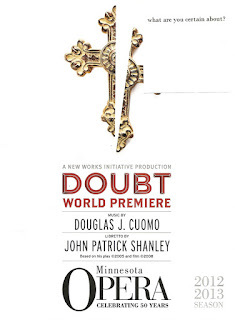 But when I heard that Minnesota Opera was doing a world premiere of Doubt (the brilliant 2005 play that was made into a movie in 2008) at the Ordway, I was intrigued. Lucky for me, my fellow blogger Bartley invited me to go along with her when she attended as a writer for Minnesota Playlist. I'm not sure I have the time or the inclination to become a regular opera goer, but I thoroughly enjoyed the experience of witnessing this beautiful new interpretation of a complicated and fascinating piece of theater. 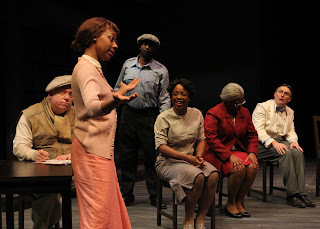 I saw Ten Thousand Things' version of Doubt, A Parable (its fascinating and revealing full title) two years ago, and it was one of my favorite shows of the year (Ivey's, too). 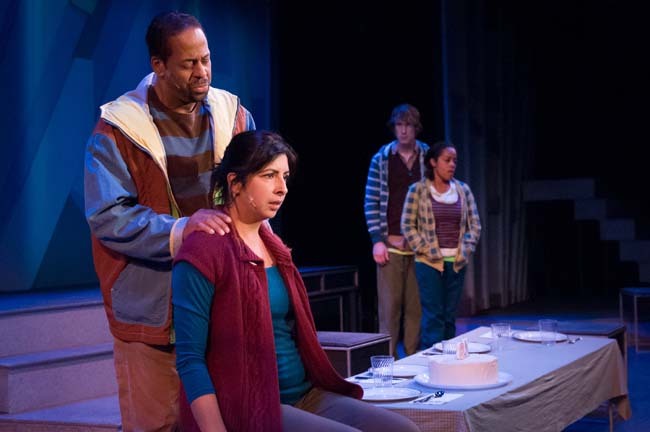 This four-person 75-minute play is short, intense, and though-provoking. 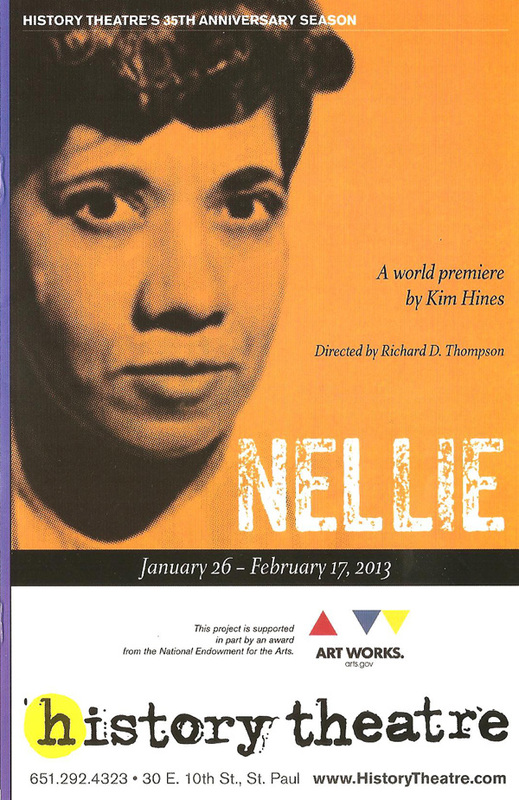 Set in 1964, a nun and principal of a Catholic school accuses a priest of impropriety towards a student. 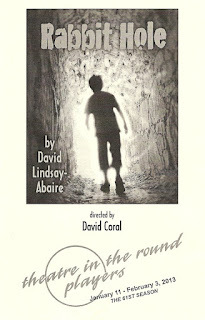 But that's not really what the play is about; this story is used as a parable to explore the ideas of doubt vs. certainty. It's not about whether or not the priest is guilty, it's about what the presumption of guilt or innocence does to those around him. How do we ever know the truth about someone? Can we be certain about anything, or do we just have to resign ourselves to make the best choices we can on the information we're given, and live with the consequences? The piece asks, "What are you certain about?" 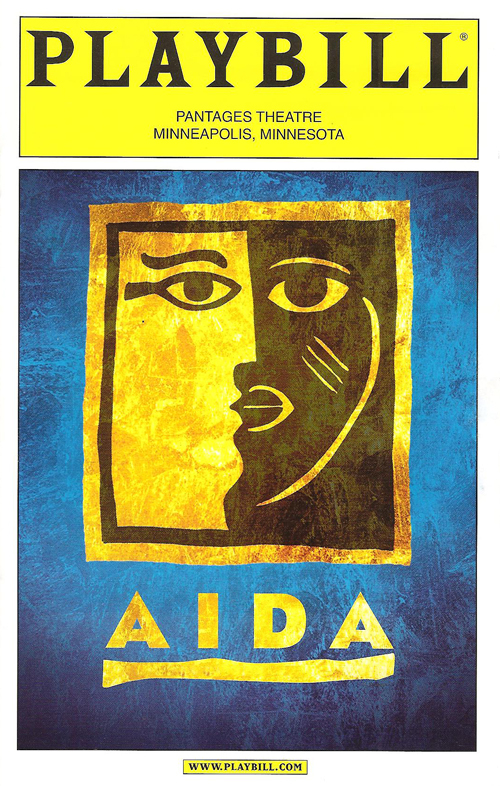 (As does the sticky note on the front of the opera program.) 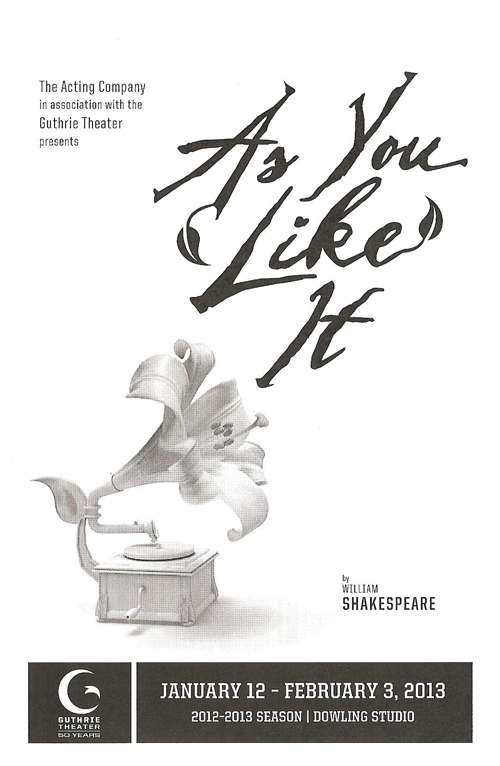 John Patrick Stanley wrote the play, the screenplay for the movie adaptation, and the libretto for this new opera. 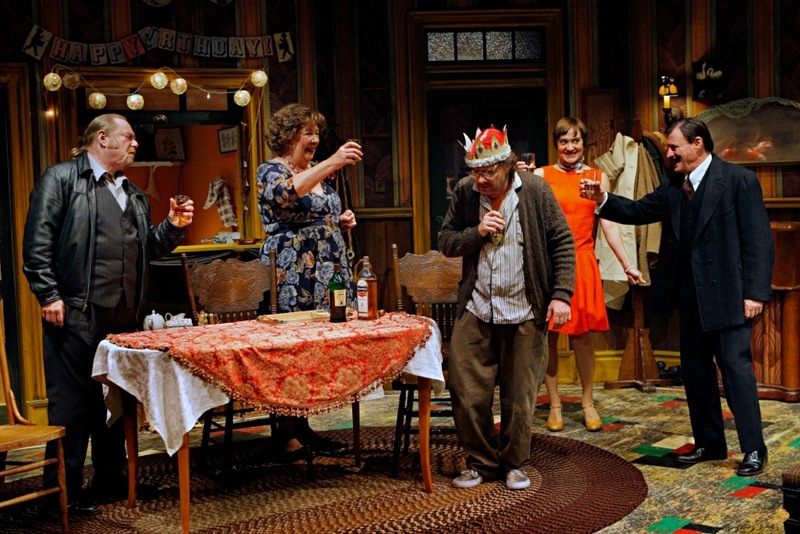 The one-act four-person play has been expanded into a full, luscious orchestra with a huge cast on a big stage with stunning sets, and a large beautiful orchestra backing it up. I don't know much about opera so I can't speak to where this lies in the context of the opera world, but as a new interpretation of a piece of theater, it's a success. The star of the show (and really the pivotal character) is Christine Brewer as the accuser Sister Aloysius. 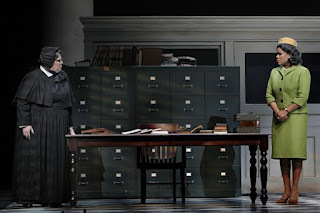 She has a commanding stage presence and an amazingly expressive voice; you can really hear Sister Aloysius' doubt beneath her claims of certainty. 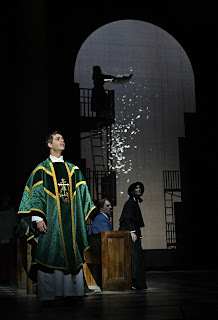 Also good is Matthew Worth* as the accused Father Flynn, charming and seductive, but giving one a slight feeling that something might be off. 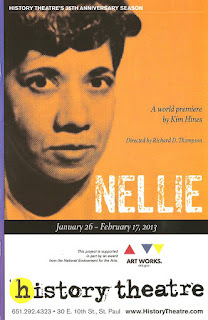 As in the play and movie, the role of Mrs. Miller, mother of the alleged victim, is a showstopper. She doesn't care what Father Flynn's interest in her son is, as long as he's seemingly kind and helpful to him, which he sorely needs in his life right now. Her only scene is a memorable one, as the orchestra pauses for her to plead for her son with a solitary voice. But my favorite scenes were those between Father Flynn and Sister Aloysius. 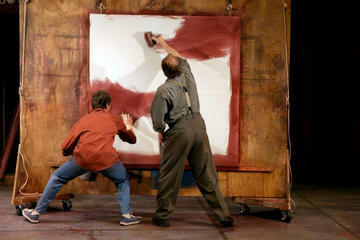 Theirs is an intense power struggle, and tension in the music builds as the tension in the scene builds. They are surrounded by a huge cast, including a bunch of kids running around and being kids (in those familiar Catholic school uniforms). The sets are beautiful and elegant. The church scenes are so realistic (and familiar to a former Catholic), that I had to stop myself from making the sign of the cross. Huge columns adorn the stage, with pieces moving smoothly in and out as if by magic. 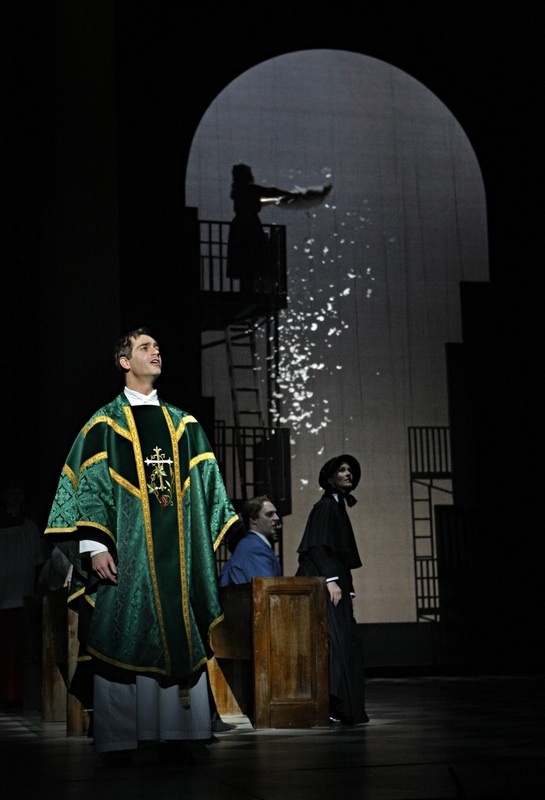 In one scene, Father Flynn compares gossip to opening a feather pillow on a rooftop, and the illustration of the story in silhouette at the back of the stage is a thing of beauty. People get much more dressed up for the opera than they do for the theater, especially on a weeknight! I love getting dressed up for the theater, it's part of the fun of the experience for me, so this was delightful to see. People actually yell out "bravo" (or "brava?") after the performance. The pit orchestra is huge! The difference in the music is not just that there's no spoken dialogue (see RENT and other musicals with little to no spoken dialogue), but there are no traditional songs (with chorus, verse, bridge), no clear endings and beginnings of songs, no breaks for applause. Just continuous music and sung dialogue. The actors are not miked, just a few floor mikes, which I also love. My favorite musical sound is the unamplified human voice, and I'm often disappointed that even in small venues actors are usually miked. These trained voices ring out across the Ordway with little assistance from technology. Captions are displayed above the stage. I was surprised they still do that when the opera is in English. I tried not to look at them and just concentrate on the music, but I found that difficult. Actually it was a bit helpful, especially when two are singing at the same time. So that's my experience at the opera, a truly fascinating and entertaining one at that. I think it helped that it was based on a piece of theater I'm familiar with. I won't be rushing to see an Italian opera, but I will keep my eye out for other pieces that may interest me. 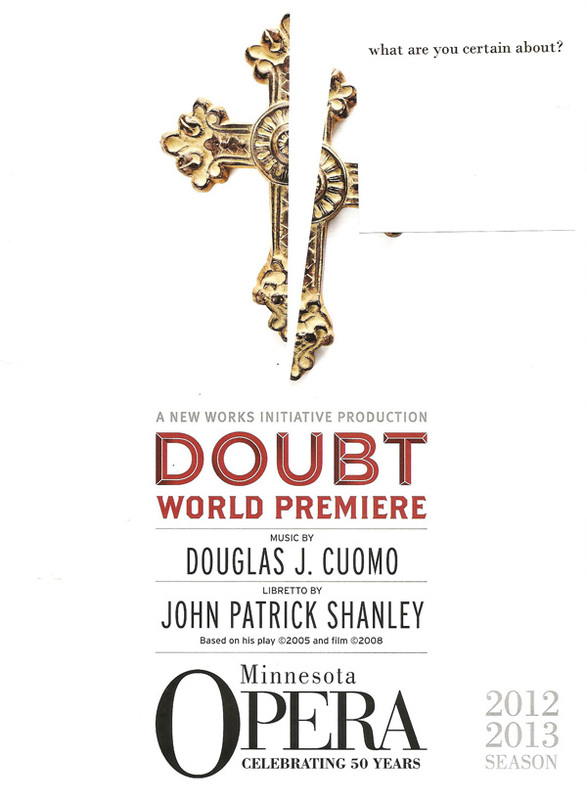 If you're a theater fan looking to dip your toe into the world of opera, Minnesota Opera's world premiere production of Doubt is an excellent choice! *Just before I saw the show I watched the season finale of American Horror Story, in which Joseph Feinnes played a priest who might also have been guilty of some wrongdoing. From my seat in the first row of the mezzanine, Michael Worth looked enough like him that the whole night I felt like Joseph Feinnes was singing to me, not a bad thing! 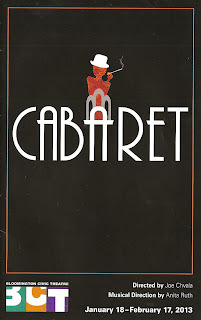 This is the third local production I've seen of Cabaret in the last two years (the others were by Frank Theatre and Lyric Arts), and I couldn't be happier about the repetition. 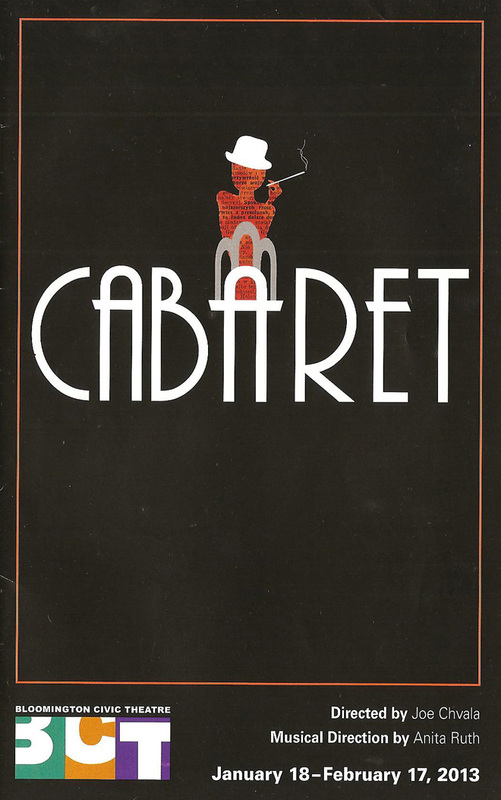 I love Cabaret because it's wildly entertaining and fun, featuring a fabulous Kander and Ebb score, but has a dark undercurrent of the impending doom that is the Nazi party coming to power in 1930s Germany. 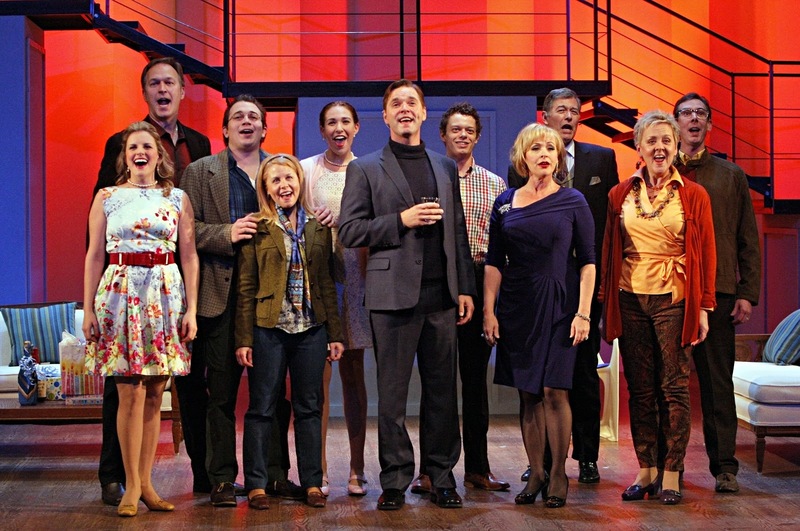 It's a fun musical that also has depth. 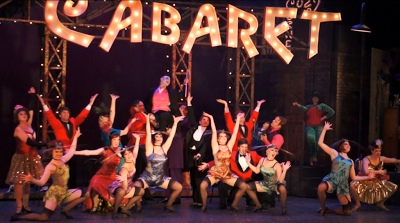 Cabaret is all about living this crazy life to the fullest, because it could be gone tomorrow. Director and choreographer Joe Chvala writes in the program, "our production celebrates the resistance to tyranny and the desire to be open to life's strange, wonderful and all-too-quickly-gone beauty." In this colorful production with an expansive and energetic cast, a full musical sound, several big dance numbers, and an incredible set, that objective is decidedly accomplished. The Emcee of the Kit Kat Klub serves as the audience's guide to this world, and Joey Clark smoothly steps into the role after playing a Cabaret boy in Frank Theatre's magnificent production two years ago. He's an approachable and entertaining host (and also appropriately hosted the post-show talk-back on the day I attended). 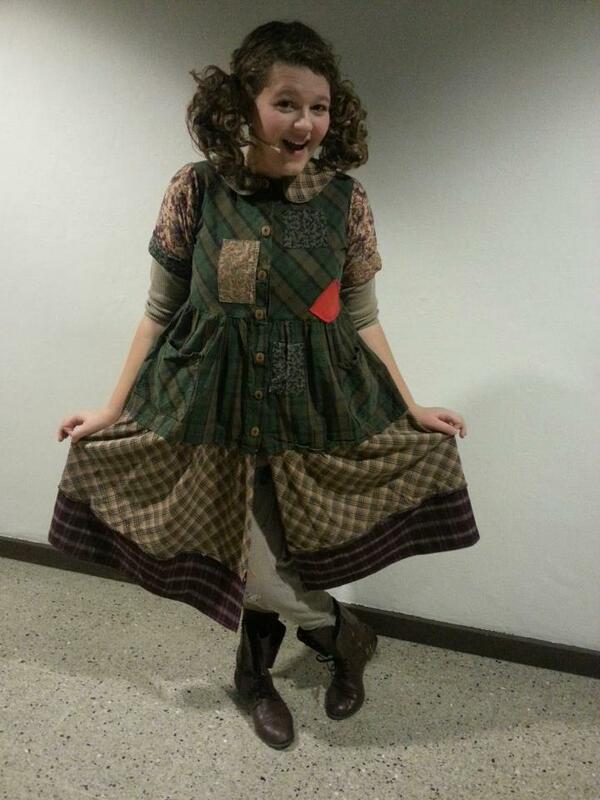 BCT newcomer Abby Desanto is a delightful Sally Bowles, full of life and passion. 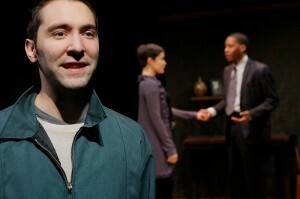 Bryan Porter is completely genuine in his portrayal of Cliff, and makes him relatable and sympathetic. Both have pleasant voices, and they share a believable chemistry. Due to a very last-minute illness, Colleen Somerville heroically stepped into the role of Fraulein Schneider and performed beautifully. She had a script in front of her for several scenes and a few songs, and though the words might not have always been on the tip of her tongue, that didn't stop her from conveying the complex emotions of the character. Kudos to the entire cast and crew who scrambled to make the necessary changes to accommodate the illness, and managed to make all look effortless. This may be the most remarkable set of all the remarkable sets I've seen at BCT (by resident set designer Robin McIntyre). Huge moving parts that represent the exterior and interior of dingy city buildings, with the names of real Berlin nightclubs adorning the walls in lights (Cozy Corner, Resi, Eldorado, Stork's Nest, Monikel). It's a nice touch of reality and an homage to that crazy beautiful city of Berlin. This production is a little bit cleaner and tamer than others I've seen and heard, but that's understandable considering the suburban community theater audience. Joey explained in the talk-back that it's just, well, different than what you might see in New York City or even Minneapolis. I get that and respect it; what's most important is that the intent of the piece remains intact. 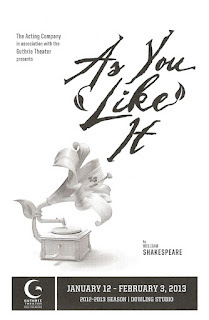 This seems to be much closer to the original 1966 Broadway production rather than the 1972 movie or the 1998 revival (the soundtrack I'm familiar with), so don't expect to hear "Maybe This Time" or "Money." But we do get the fun "Telephone Song" and the sweet love song "Why Should I Wake Up." While I missed the onstage band ("even the orchestra is bee-utiful! "), I can't really argue with a 20-piece pit orchestra and the full sound it gives. Musical Director Anita Ruth has taken a much-deserved vacation and seamlessly handed the baton to Eric Sayre, and while hidden the pit, they do indeed sound "bee-utiful!" Last but definitely not least, Joe Chvala has choreographed some pretty spectacular dance numbers, including a kickline, party scenes, and a dancing gorilla. And the talented ensemble pulls it off (seemingly) effortlessly. New original musical theater is my favorite thing in the world (and something that's in short supply in these days of jukebox musicals and movie adaptations). 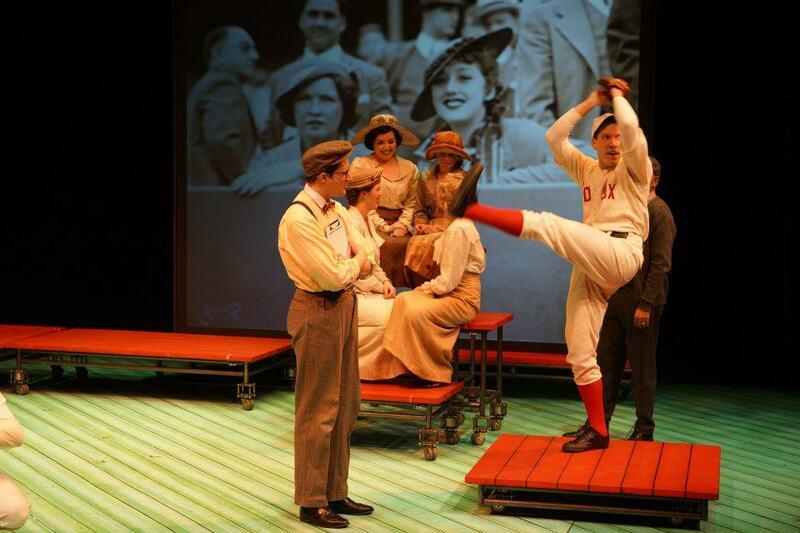 Baseball is another one of my favorite things, so combining these two things makes me a happy baseball/theater fan. 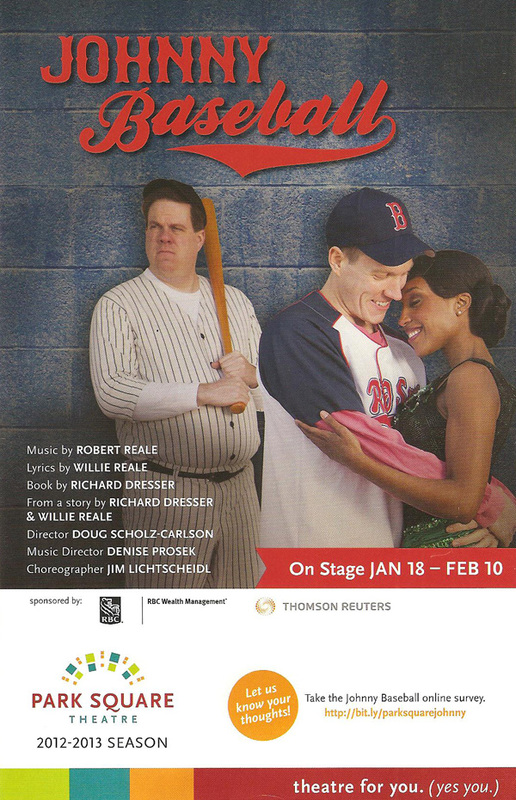 Johnny Baseball is a new musical by brothers Robert and Willie Reale (music and lyrics, respectively, who were in attendance opening night) and Richard Dresser (book). It premiered at American Repertory Theatre in Boston in 2010 and has gone through a few workshops before it's current incarnation at Park Square Theatre. While it's not the perfect musical (yet), it has some really great songs and scenes, and has the potential to be a great and successful musical. I'm not certain it could every play on Broadway; this love song to the Boston Red Sox might not be well received in Yankee territory. 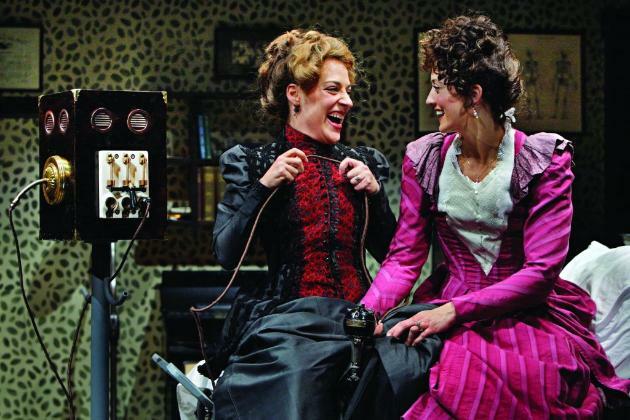 (On the other hand, we all know Broadway is for tourists, so it might be OK!) But the current version is highly enjoyable for baseball and musical theater fans alike, with a fantastic cast and clever and interesting staging, direction, and choreography. Johnny Baseball mixes fact and fiction. The fact is that the Red Sox went 86 years without a World Series win. While the real reasons for that are complicated and varied (and in my opinion can mostly be attributed to the fact that baseball is a funny game, and sometimes things just don't go your way), one popular theory is that the Red Sox were cursed because they sold their star player, Babe Ruth, to the Yankees in 1920, beginning a streak of Yankee dominance in World Series (that I as a Twins fan find frustrating and unfair, but don't get me started about the Damn Yankees!). Johnny Baseball proposes an alternate theory to the so-called "Curse of the Bambino." While this theory is just as preposterous, it works well as the conceit of the show (except for the fact that this curse happened in 1948, which doesn't explain the first 30 years). We begin with modern-day Red Sox fans agonizing over a game (specifically, game 4 of the 2004 ALCS), when an old man in a Yankees hat begins to tell a story. We then flash back to the 1918 Red Sox season, when a fictional rookie pitcher named Johnny O'Brien joins real life star Babe Ruth. Johnny meets and falls in love with "colored girl" singer Daisy, and things don't go well for them, as to be expected in 1918. We continue on through history to Babe's death in 1948 and later, as Johnny and Daisy (and, presumably, the entire Red Sox nation) experience the consequences of their relationship. It's really a tragic story of love lost and talent wasted, but the tone of the show is mostly hopeful and happy. 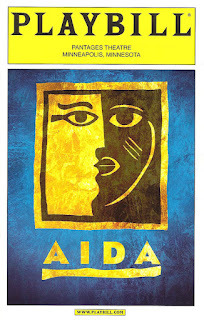 The show is incredibly well-cast, down to every last member of the ensemble (way too many to mention here, but a few standouts include Sarah Gibson, who looks and sounds so perfect in these period roles, like the ones she's played with Skylark Opera, and Max Wojtanowicz, always charismatic and a joy to watch). 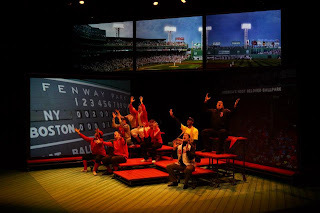 In fact, I found the ensemble numbers to be the strongest moments in the show - really fun and clever songs celebrating the joy and heartache of being a baseball fan. The leads are up to the task as well. 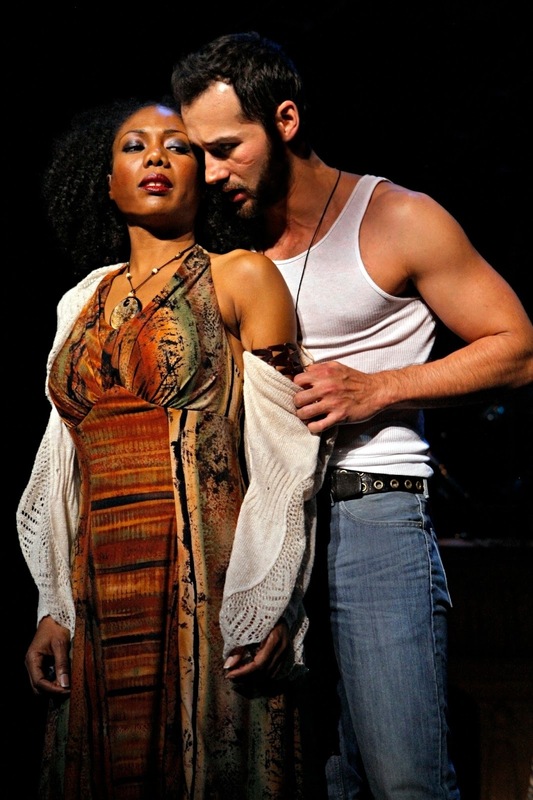 I've seen Timotha Lanae playing supporting characters in various things around town, so it's nice to see her in the spotlight here as the strong-willed blues singer Daisy, and she takes to it very well. Josh Campbell is sweet and sincere as the naive young rookie who becomes known as Johnny Baseball, and nicely transforms into a more jaded and lived-in version of the character in the second act, 30 years later. Timotha and Josh's voices blend beautifully on such numbers as the sweet "I Thought About You." Zach Curtis is a scene stealer as the confident and lascivious Babe, and again later as powerful and eccentric Red Sox owner Yawkey. 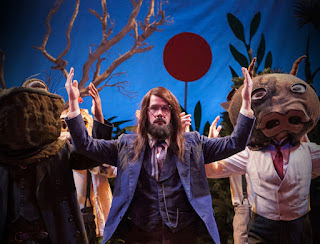 Also of note is Rudolph Searles III, who has a lovely voice as Tim, a pivotal character in the "curse." 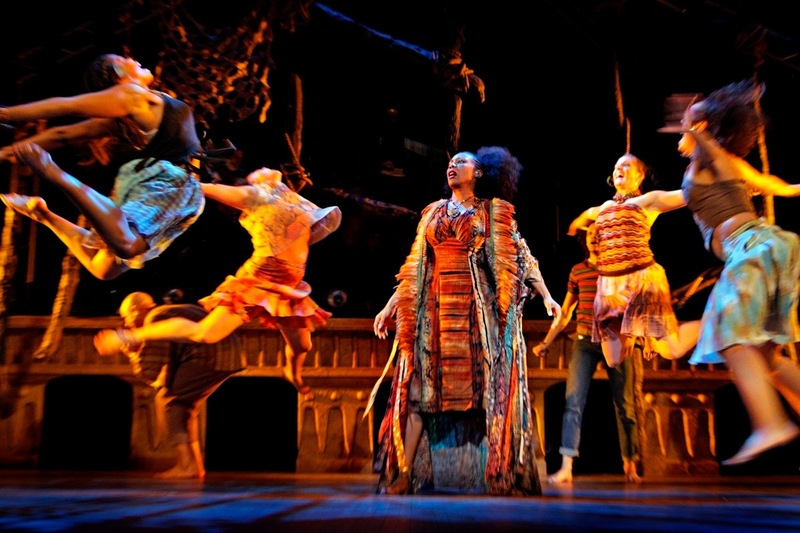 In addition to the cast, the staging, direction, and choreography are all also top-notch. The set (by the always excellent set designer Michael Hoover) consists of red wooden wheeled platforms of varying heights that are moved around to represent bleachers, a bed, or a pitcher's mound. Big screens adorn the stage that display historical photos or images that serve as set backdrops. 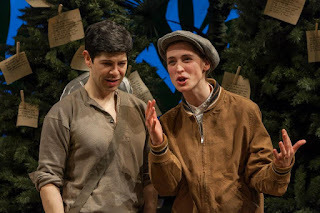 The actors move around this world with ease, and the choreography is so ingrained into the story that I'm not sure where the direction (by Doug Scholz-Carlson) ends and the choreography (by Jim Lichtsheidl) begins. 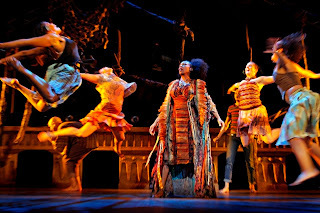 This is not the typical musical theater choreography, with bold and precise big dance numbers, but is something more loose and organic, whether it's drunken men swaying and singing (the hilariously entertaining "Brotherhood of Bastards") or fans suffering and celebrating through a ball game. I didn't know Jim was a choreographer, but he's long been one of my favorite actors because of the specific and thoughtful physicality he brings to every one of his performances, so it really shouldn't be surprising that he's transferred that physical way of inhabiting a character to this cast. Along with the choreography, the representation of baseball itself is interesting and innovative. The pitcher throws into the audience, while the catcher receives the pitch on the other side of the stage from the audience, just one of several delightful representations of the movement of the ball. 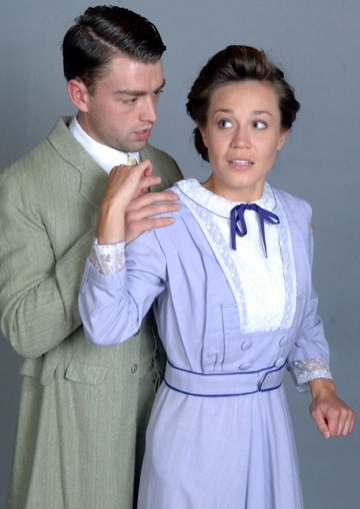 And the period costumes (MaryBeth Gagner) are gorgeous. Everything about the baseball part of this show is fantastic and spot-on, from the opening number "Eight-Six Years" (we're going on 22 years without a championship here in Minnesota so I feel the pain! ), to the love/hate relationship with a handsome opposing player in "Not Rivera," to the desperate pleas of baseball fans in "One More Run" (both feelings to which I can relate), to the beautiful and poetic ode to the magic of baseball in Johnny's song "All I Have to Do." "See You in the Big Leagues" is a fun and catchy song, and Daisy's nightclub number "Color Me Blue" is wonderfully bluesy. However, the non-baseball parts of the show could perhaps benefit from a little more development. The lackluster love song "Mr. Moon" is a little too "Somewhere Out There" (Timotha and Josh deserve a better song), and while the staging of the love song "God Wouldn't Mind" is cute, the words are less cute than creepy. 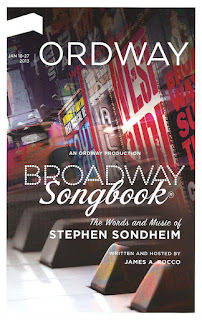 I also didn't love the penultimate number "Errors" (Sondheim did it better in "No One Is Alone"/"Children Will Listen"). But with a few more tweaks the creators could have a really successful show on their hands, wherever they take it next. I'm thrilled to have gotten the chance to experience this new work. Most of all, this show speaks directly to my baseball-loving heart and makes me anxious for the end of the long off-season. Only 29 days until the first Twins Spring Training game! Until then, head to downtown St. Paul between now and Feb. 10 to experience the joy, frustration, and community that comes with the love of the game. (Or head over to the good old HHH Metrodome this weekend for TwinsFest 2013 to meet some of the players before they head down to Fort Myers, as well as great players from Twins baseball history, like Tony O, Rod Carew, and one of my personal faves from the glory days of the late 80s, Frankie V). Let's play ball! I tend to be a little leery of things referred to as "for girls only!" I'm afraid that it'll be chock full of gender stereotypes that will offend my feminist sensibilities more than entertain. But when I received an invitation to the opening night of The Ultimate Pajama Party at the Lab Theater, I couldn't resist the idea of going out to the theater in my comfiest and cutest pajamas (I have a weakness for pajamas, and can never walk through the Target pajama section without throwing something into my cart). 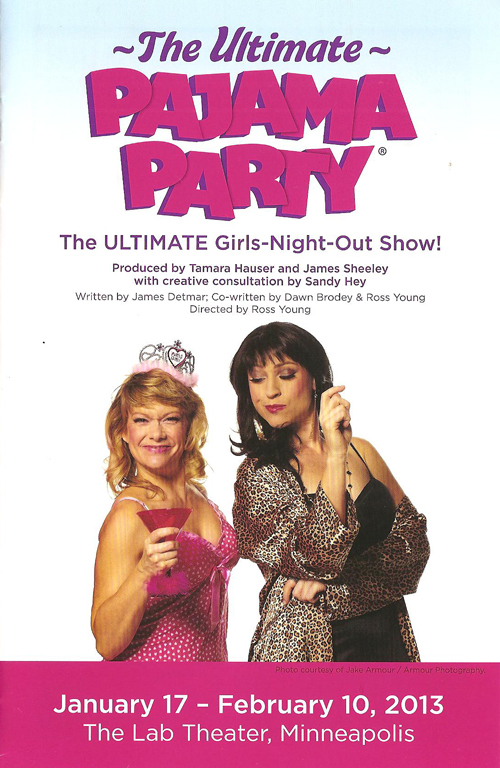 The Ultimate Pajama Party is more party than theater, and since I'm a theater geek who enjoys theater more than parties, it's not really my thing. But everyone seemed to be having a great time, and I can see that it could be a really fun thing for a group of girlfriends who like this type of thing. 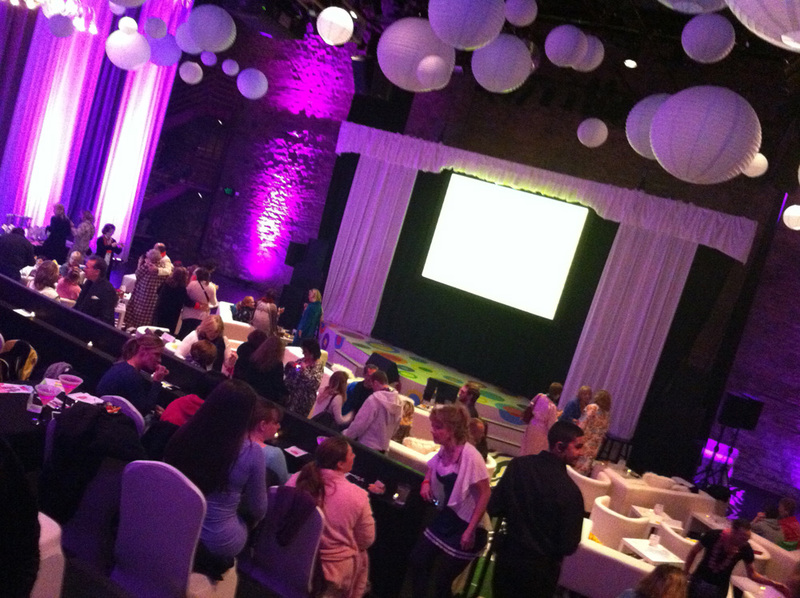 The gorgeous space at the Lab Theater is decked out to full effect and everyone involved has worked really hard to create a fun and welcoming space for this experience. As expected, this "girls night out" event does play on every stereotype of What Women Like, from the Kardashians and Fifty Shade of Grey (no, thank you) to shopping and jewelry (yes, please). Even the cast of characters assembled fit into stereotypes - the frazzled mom, the single girl, the gay best friend. The evening is set up as a party for Lisa, who is late in arriving to the party (allowing us party-goers time to visit the tiki bar and enjoy the free snacks). Lisa has invited her friends to celebrate, and the evening continues with a few skits and musical numbers interspersed with party games. I wish that the scripted play parts were more developed. 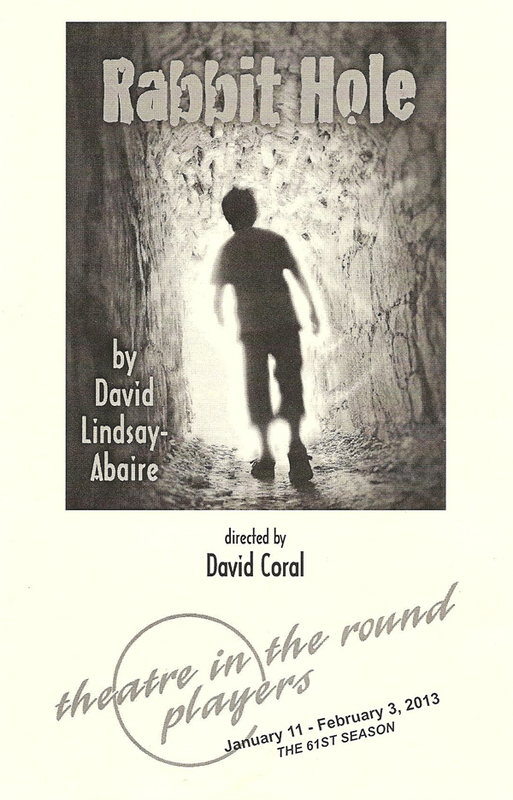 They've assembled a fantastic cast of local actors whose talents I would like to see more of. 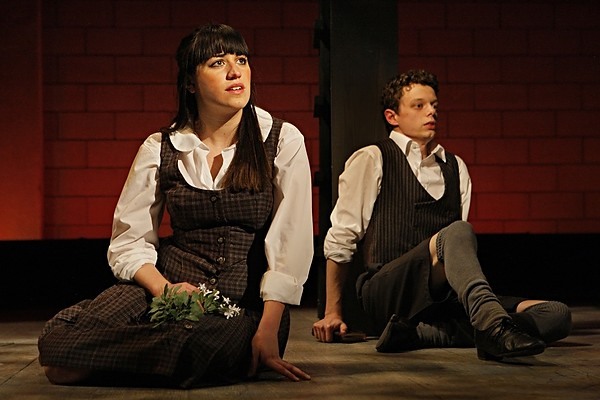 What's there is good (written by James Detmar, who brilliantly played many roles in Spring Awakening last year), there's just not enough of it. The website says "After a bad breakup with Steve, a dead-end job and years spent not pursuing her dreams, Lisa is ready to celebrate new beginnings," but I didn't really get that from the show. I would prefer more scripted parts and less interactive games (diet bingo, walk like a Kardashian). But again, I'm a theater geek so maybe that's just me. Bonni Allen - I got a kick out of her presiding over the strange puppet show since she played Kate Monster in Avenue Q.
Doug Anderson - he makes a smooth transition from playing the stereotypical Minnesota guy in A Don't Hug Me Christmas Carol to the stereotypical gay best friend. Betti Battocletti - always musically comedic in such shows as 42nd Street and The Full Monty. Janet Paone - I've never seen her before but she's very funny and bawdy in the show. Melanie Wehrmacher - the guest of honor Lisa, a totally different role from the last time I saw her in Diary of Anne Frank. Lisa Weiland - the frazzled mom, which I'm sure many women in the audience can relate to. Many of them go by their real names in the show, and seem to be sharing some real stories about their lives, so I'm not really sure where the actor ends and the character begins. They all meander through the audience during the show, chatting with guests, and are all very fun and open, creating that party atmosphere. The evening concludes with a performance by Lisa's favorite local band (and actual local band), Belladiva. They sing a collection of current pop hits (which I like to call Glee songs) as well as classic female power pop anthems like "I Will Survive" and "It's Raining Men." This loosely theatrical interactive event turns into a dance party. 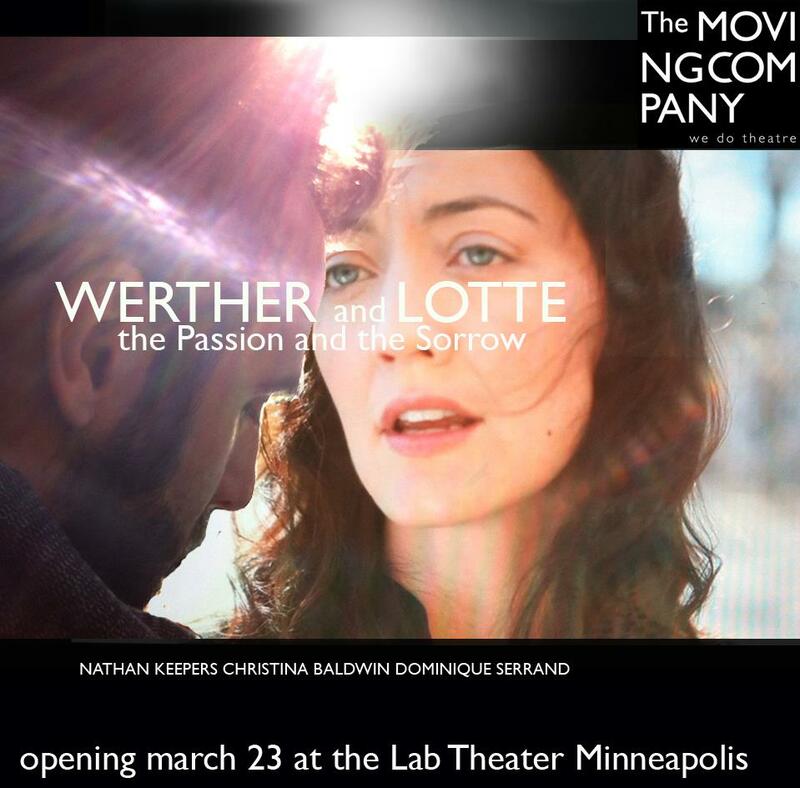 I love the Lab Theater - it's like a big, beautiful blank slate. Joshua Barnd has transformed it into an elegant space, with comfy white couches and chairs, black tables, zebra print floor, gorgeous drapery, and a fun setup for photo shoots (if that's your thing). It's just an all around lovely space to be in. There are also party favors and t-shirts to be had, and free food - always a plus at a party! We want to share a drink. We are sick of apathy. This is how the new theater company Loudmouth Collective describes themselves. I think all of those things are fantastic, as are all of their shows that I've seen. OK technically Thom Pain (based on nothing) is the first Loudmouth Collective production I've seen, but their first show was a remount of one of my favorite shows of 2012, The Peanut Butter Factory's Gruesome Playground Injuries, and Artistic Director Natalie Novacek (who directs this piece) also directed one of my favorite Fringe Fest shows of last year, Joe Dowling's William Shakespeare's Romeo and Juliet on the Moon, Featuring Kate Mulgrew as Lady Capulet. So I feel like I've got the gist of what they're all about. And that is: interesting, intelligent, funny, a little bizarre, thought-provoking, unique, meaningful theater. It's good stuff, friends, check it out. I can't really tell you what this play is about. As the title says, it's based on nothing. 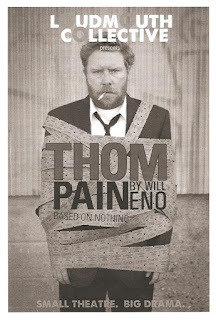 In this one-man show, a character called Thom Pain tells stories directly to the audience for 70 minutes straight. Stories about a sad little boy, a dog, bees, a love gone wrong. Stories that draw you in, painting pictures with words, and then snap you back to reality. It's sort of faux-interactive; Thom talks to people in the crowd, but it's all part of the show. It's always a little scary when the house lights go up, but don't be afraid, you're among friends. I just hope you're paying attention. As Thom Pain, Sam Landman gives a terrific performance, the kind of performance that makes you forget that this is an actor playing a part, and begin to think that he's really just this crazy/profound guy going on a 70-minute existential rant. It's a pretty remarkable feat just to perform this piece that's so dense with words, but Sam also manages to convey a range of emotions - pain, anger, confusion, loss, frustration, longing. It's intense and captivating, and quite fascinating to watch. This is my first time attending a theater production at Open Eye Figure Theatre, although I was there once for a concert. It's a great little space. Small and intimate, with a brick arch over the stage, it's a nice place to watch theater. The stage is completely bare for this show, except for a dictionary on a stand. The lighting (by Stephanie Richards) is the only thing that creates the mood; Thom is almost in conversation with the lights. I'm really at a loss for what else to say about this piece, partly because I'm still processing it, and party because I don't want to spoil any of the delightfully perplexing surprises in the show if you go see it. And if you're looking for something unique and different, you definitely should go see it. Thom Pain (based on nothing) plays for one more weekend at the Open Eye Figure Theatre; reserve your tickets here. And remember - pay attention! 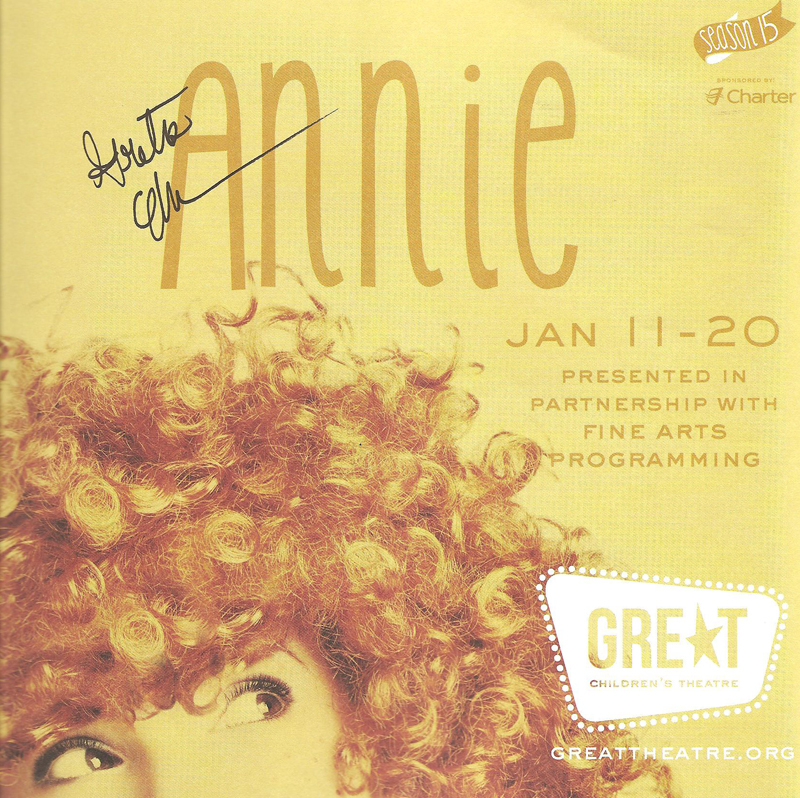 I recently read The Diary of a Young Girl after seeing a moving production of the play based on the book, The Diary of Anne Frank, at Yellow Tree Theatre last fall. We're all familiar with Anne's story - she and her family hid in a "secret annex" in a building in Amsterdam in the mid-1940s, until they were found and sent to concentration camps. But what struck me most about the diary is how normal Anne seems, writing about typical teenage topics like sibling rivalry, parental trouble, boys, movie stars, books, school. She was an ordinary girl in an extraordinary situation. Perhaps that's the most remarkable part of her story, how she was able to carry out an almost normal life, growing up living in a small crowded apartment that she was never able to leave, with the threat of death and danger always so near. 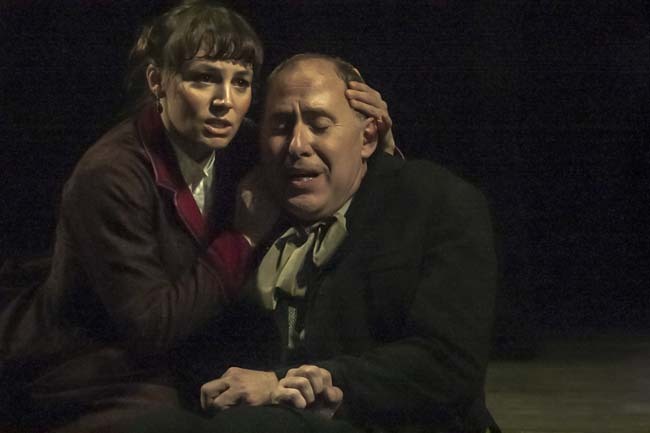 Nautilus Music-Theater's remount of their 2006 Ivey-winning production of I Am Anne Frank gives yet another perspective on that familiar story. 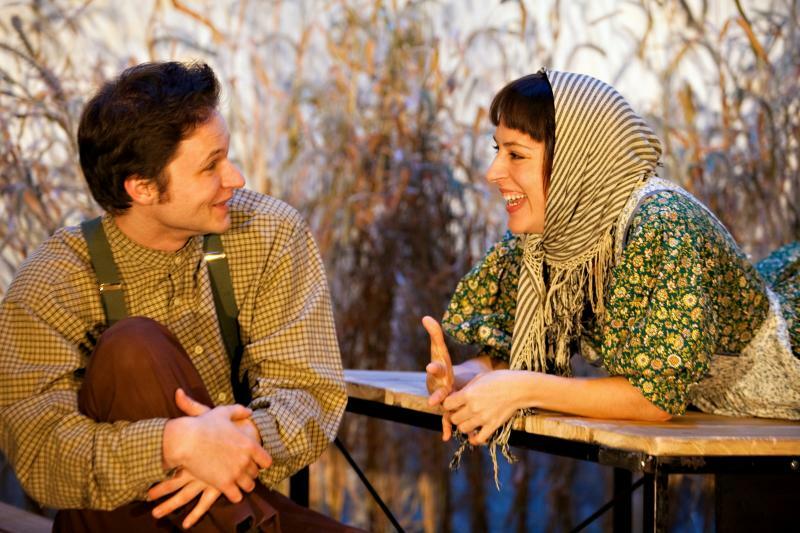 Like all good musicals, when words aren't enough to express what you're feeling - there's music. Music communicates emotions in a way mere words cannot. And this piece expresses the joy, fear, longing, frustration, hope, and desperation of Anne's story. 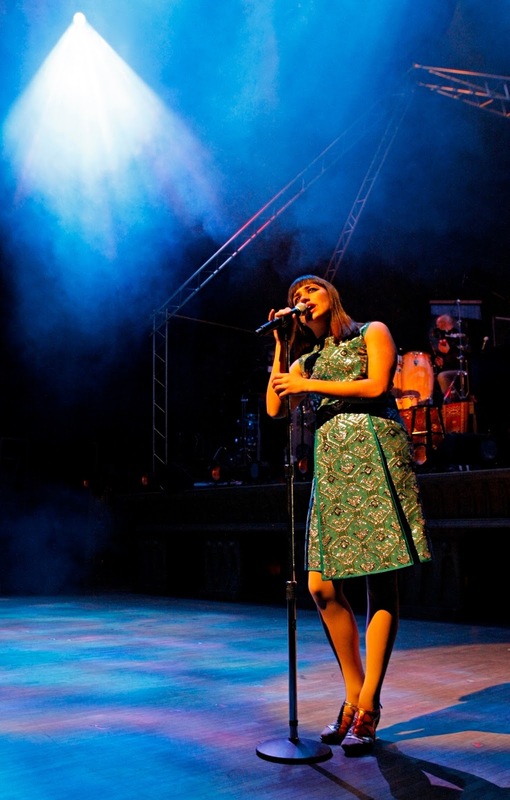 Vanessa Gamble gives a beautiful performance in what is almost a one-woman show. She really does become Anne in all her forms - stubborn, spirited, joyful, fearful. 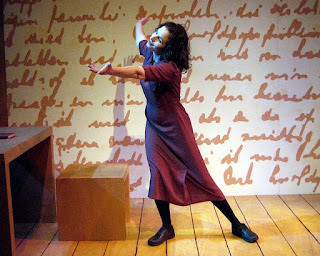 The music flows seamlessly out of the dialogue, often using Anne's own words from the diary. Vanessa's performance of this beautiful music (by Michael Cohen) gives us deeper insight into Anne's experience. 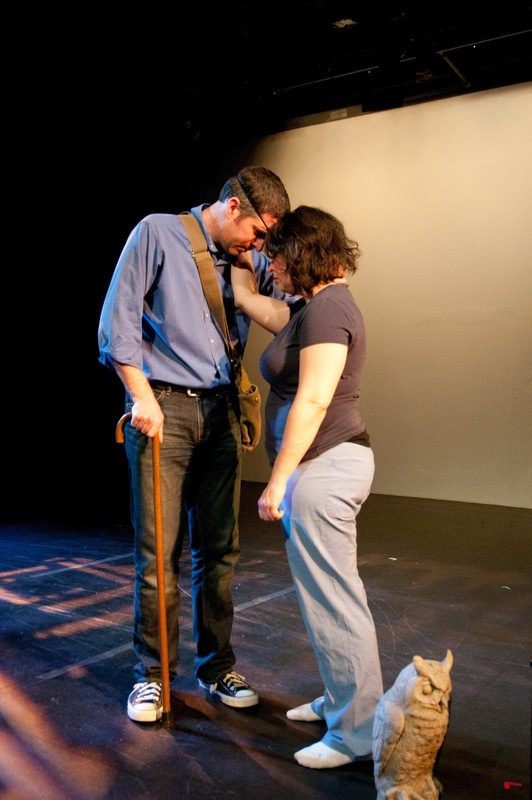 It's "almost" a one-woman show, because Vanessa is accompanied on stage by the always excellent Joel Liestman. He spends most of the show sitting at the edge of the stage, watching Anne, reacting to her, and providing another character for her to play against. He occasionally joins in for a song or discussion, playing Anne's teenage friend and fellow annex resident Peter. 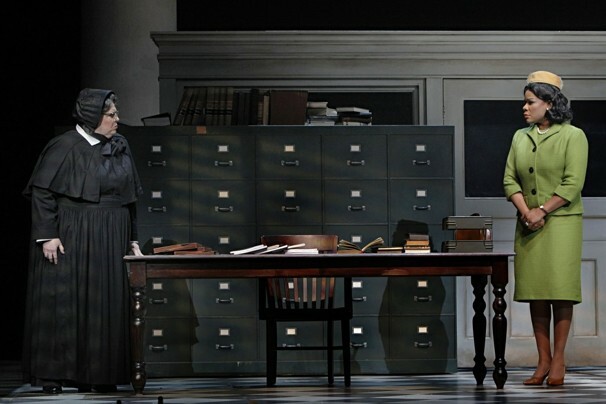 The lighting (by Michael Wangen) is like a third actor on stage, creating moods, hinting at the time of day, showing us the stars on Anne's face. The simple choreography (by JP Fitzgibbons) flows out of the music and emotion of the words and feels very organic to the characters. The show opens with the actors introducing themselves, listing a few personal characteristics, some similar and some different. Then they tell stories of genocide around the world, all of which have taken place since the Holocaust, a tragedy we swore to never let happen again. But it's still happening. Anne's words are so simple and profound, as she ponders why people kill people who are different from them, and who decided they were different in the first place. "It's really a wonder that I haven't dropped all my ideals, because they seem so absurd and impossible to carry out. Yet I keep them, because in spite of everything, I still believe that people are really good at heart." 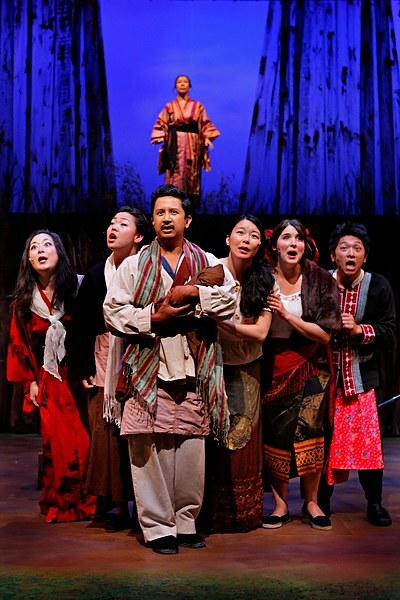 Hers is an inspirational story, and this production by Nautilus Music-Theater does it justice. 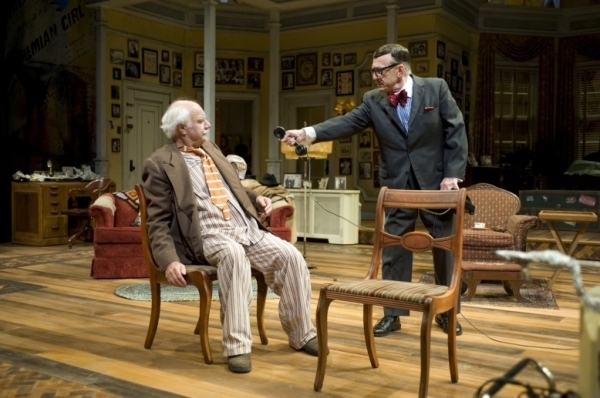 Nautilus has been touring the show around the state for the past year or so, and it only plays for two more performances at the Southern Theatre. 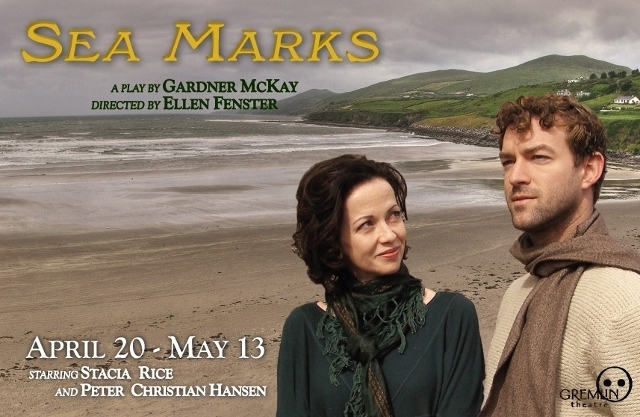 Buy your tickets here - it's a bargain at under $20 a seat for this beautiful and moving 90-minute show.